I read this article and found it very interesting, thought it might be something for you. 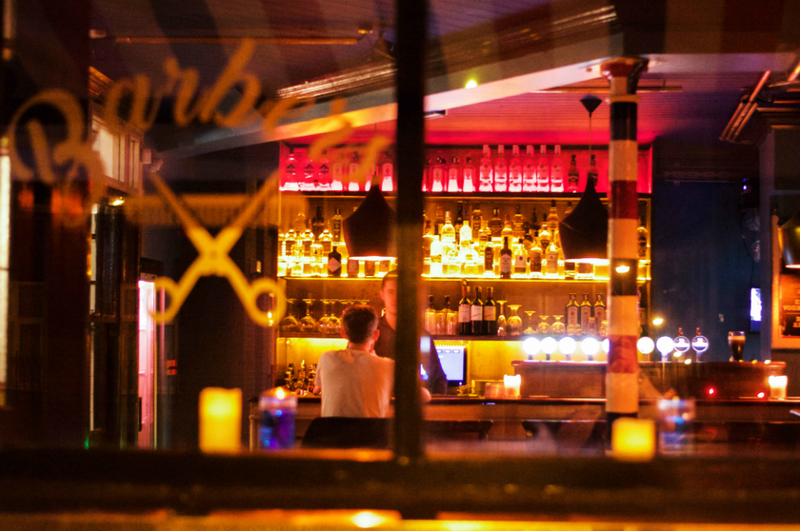 The article is called Barfly: A Cut Above – The Barbers and is located at https://www.totallydublin.ie/food-drink/bars/barfly-cut-barbers/. Mystery novelist Mel Healy, who centres his fiction on the adventures of Stoneybatter private detective Moss Reid, wrote a blog post in late 2014 about the closure of The Grange Inn at 19 Lower Grangegorman. The Barbers came into being late last year in the same address. 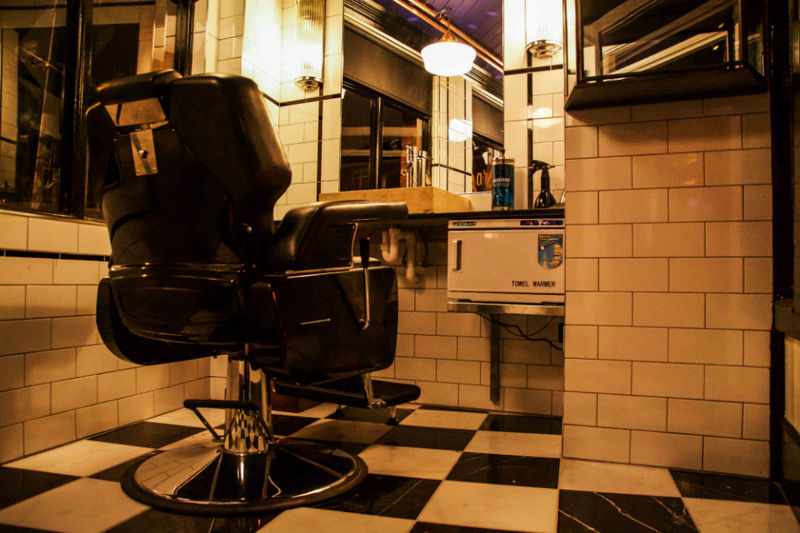 It’s a cosy single room, featuring a side area with a barber’s chair for those wishing to indulge the crossover, as well as a row of vintage hairdryers lined up in a row on one of the walls. But the changes are not grotesque – they’re perfectly ignorable. Even the neon bar sign outside is just a touch up on The Grange Inn’s own. The Barbers, thankfully for its own sake, appears not to rest on the strength of its gimmicks though. For starters, proprietor Chris Darby actually is a barber (rather than just finding out that a coiffeur had previously run the address in the manner that so many Dublin establishments are named) so you actually could enjoy an afternoon haircut and pint in completely legitimate fashion if, unlike this reviewer, you had any hair to cut. The crowd mixes auld lads, suits, and a healthy smattering of Stoneybatter and (Grangegorman) transplants. Soundtracking the night — gently, beneath conversation level — is classic after classic: Stevie Wonder, Sam Cooke, Bowie. An acoustic guitar is menacingly propped up in the tiled hairdressing zone, but thankfully never wielded. Pints of Guinness, dropped over to the table no less, are excellent and only €4.80. The range of craft beers on tap included a crisp and delicious White Hag Session IPA (€5.50) and my companion could guzzle Bombay Sapphire G&Ts from mighty goblets for a fiver on the nose. While Grangegorman has only the solitary boozer, neighbours Stoneybatter and Smithfield are replete with well renowned watering holes. That in between the time of the The Grange Inn and The Barbers, this address briefly housed The Orchard (no, me neither) would indicate that it is a difficult location to get noticed in. Healy wrote about this area changing with regret, but there’s only so long struggling dive bars, boarded-up houses and old psychiatric asylums can make up a neighbourhood, so let’s hope the “DIT effect” will provide The Barbers succour in this time of upheaval.